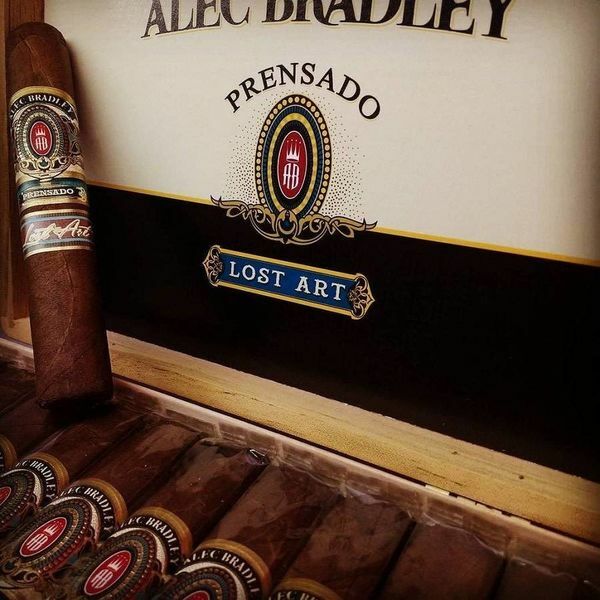 An excellent addition to the top-rated Prensado portfolio, the Alec Bradley Prensado Lost Art cigar features an immaculate blend of Honduran and Nicaraguan tobaccos finished with a dark and oily Honduran Corojo wrapper. Like its very popular original namesake, the Lost Art Prensado boasts perfect construction, a slow burn, and an effortless draw yielding tons of lucious, thick smoke. Medium to full body in strength, these amazing cigars are brimming with oak, espresso, buttery leather, and dark tobacco flavors highlighted by a creamy finish that will surely please. The Prensado Lost Art is yet another excellent Alec Bradley creation that is sure to find a constant home in your humidor!